For years, astronomers have been puzzled by the fact that our solar system is crossing a cloud of interstellar hell. One that shouldn't be there at all. Intergalactic plot to keep us isolated or cosmic event? Voyager got the answer. 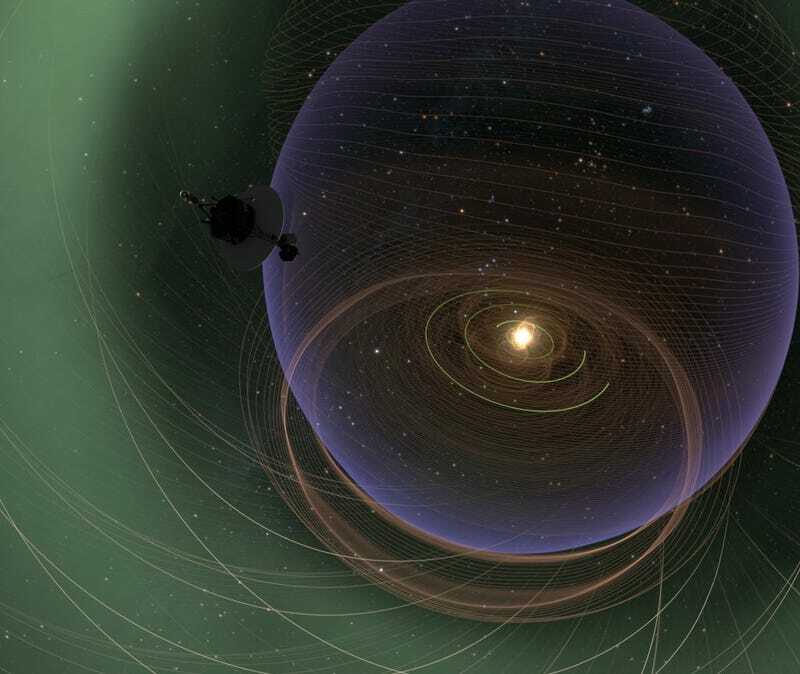 Using data from Voyager, we have discovered a strong magnetic field just outside the solar system. This magnetic field holds the interstellar cloud together—"The Fluff"—and solves the long-standing puzzle of how it can exist at all. The Fluff is much more strongly magnetized than anyone had previously suspected. This magnetic field can provide the extra pressure required to resist destruction. The Voyagers are not actually inside the Local Fluff. But they are getting close and can sense what the cloud is like as they approach it. At least, that's what NASA's Heliophysics Guest Investigator from George Mason University Merav Opher says in the December 24 issue of Nature. I lean to the intergalactic plot to keep our primitive world from entering the Federation of Advanced Civilizations. That, or Ming of Mongo trying to crush our puny asses. It's ironic how the whole thing works. Earth's magnetic field and atmosphere protects us from the Sun's magnetic field and radiation. Then, the Fluff is not destroying us thanks to the Sun's magnetic field and the solar winds, which is what form the 6.2-billion-mile-wide heliosphere. So my question is: Who protects the Fluff?